When we begin work with a new client, we spend a lot of time listening to what the homeowner likes and doesn't like about their landscape as well as what they wish for their updated landscape. Then we examine the landscape, which has its own story to tell. 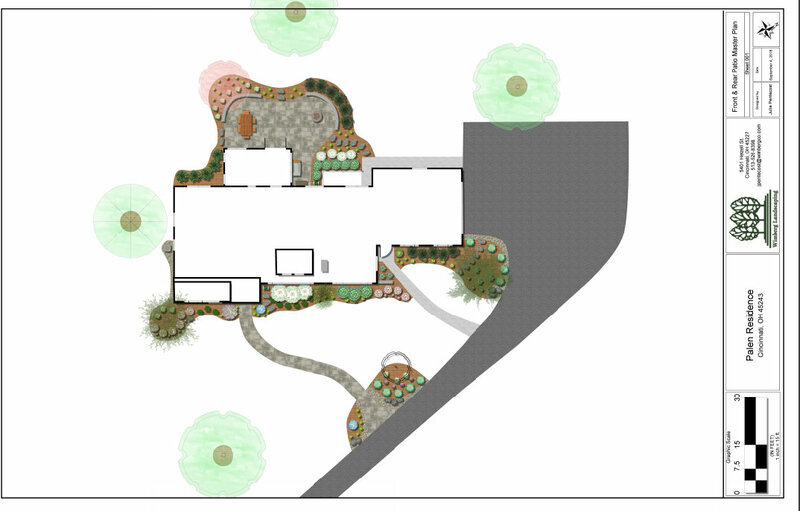 The existing space offers clues as to how we may need to alter the landscape to meet our client’s expectations. Here are the first three things Julia Pentecost, a designer with Wimberg Landscaping, notices when she views a landscape for the first time. The contours of a landscape reveal so much. Does water flow toward the house or away from the house? Are there low areas that might collect water? Are there steep slopes which could be a challenge? Water is both necessary in the landscape and, if not properly controlled, can be very detrimental to the landscape and the home. You can have a lushly planted landscape, but if that plant material is failing, it may be a liability, not an attribute to the new design. I look for a specimen tree that is really lovely, a healthy row of boxwood or liriope that can be repurposed and show stopping perennials that may just need to be transplanted to fit into the new design. Whenever possible I integrate existing plants that are healthy and have lots of life left to give into the new plan. If the landscape already has hardscape elements I evaluate them to see if they are in good condition, make sense, will contribute to the new design or need to be replaced. 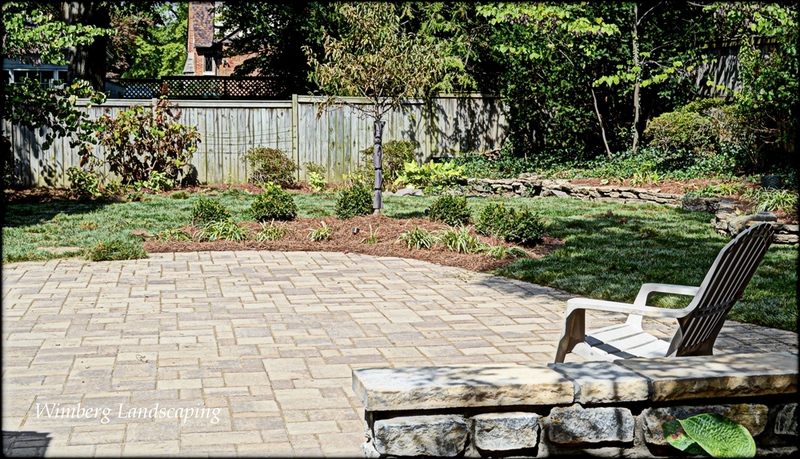 Hardscape elements are meant to last a long time and be enjoyed year-round. I take notice if a patio is too small for the house, a path is leading nowhere or a retaining wall is leaning. Sometimes I discover a beautiful boulder that should stay or an old stone and mortar wall with character that still looks beautiful. Understanding which existing hardscape elements add value to the landscape and noticing those that do not can improve not just the landscape, but property value and function. Julia has enjoyed serving as the lead designer and horticulturalist at Wimberg Landscaping since 2011. She earned her degree in Horticulture and Landscape Design from the University of Cincinnati. Julia uses her 22 years of vast plant knowledge as well as hardscape design experience to make her clients' dreams and visions become a reality. Her inspiration comes from the beauty found in nature. A native Cincinnatian, Julia, her husband, and two kids live in Amberley, Ohio.